WE’RE BACK. The Game of the People Awards for 2017, recognising achievement, effort and providing a reminder that footballers are human, after all. We normally give this prize to a club that has gone out of its way to reach out to the community and offer something extra in terms of stakeholder engagement. But this year, we are extending the velvet glove of congratulations to Jermain Defoe. In an age when charity is seen as a badge of career enhancement, this fellow has shown more compassion than most footballers can ever hope to achieve. He edged out Juan Mata in this award, but we take our hat off to Mr Defoe. Previous winners: 2015 Sutton United; 2016 Dulwich Hamlet. As the likes of Messi and Ronaldo start to look on a life as a pundit or Beckham-style celebrity, who are the players who will take on the role as “best in class”. 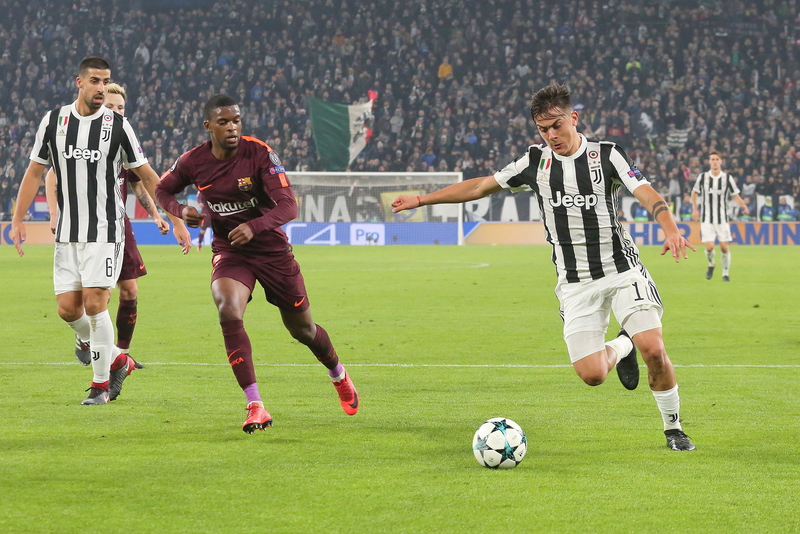 It’s a big ask, but we like watching Paulo Dybala of Juventus. We’re looking forward to seeing him in action in the 2018 World Cup. Previous winners: 2014 Luis Suarez; 2015 Jamie Vardy; 2016 Johan Cruyff. As regular readers will note, we don’t always go for the most obvious names in our awards, but we’re going to give one of Europe’s historically prominent names an accolade for their achievements over the past 12 months – Celtic of Glasgow. Admittedly, Scottish football is not what it was, but 2017 was the 50th anniversary of the Lisbon Lions’ magnificent triumph in the European Cup and they’ve marked it by winning everything in sight in Scotland. Celtic are still a big name! Again, we could easily give this to a Conte, a Mourinho or a Klopp, but because of his dignity, his “nice guy” persona and his contribution to European football, we are acknowledging Carlo Ancelotti, was shown the door by Bayern Munich only a few weeks into the season. We’re going a bit obvious here. There can be no other contender for this award – Barcelona 6 Paris St. Germain 1 on March 8, 2017. Barca coming back from a four-goal first leg deficit to win 6-5 on aggregate in this UEFA Champions League round of 16 tie. The game that may just have planted the seed for Neymar’s transfer to Paris. Previous winners: 2014 Germany 7 Brazil 1; 2015 Albania 3 Serbia 0; 2016 Morpeth 4 Hereford 1. Football is always full of gaffes but the most ludicrous incident over the past year has to be from the Sutton United and Arsenal FA Cup tie at Gander Green Lane. It was a prank that went wrong for Sutton reserve goalkeeper Wayne Shaw, who was pictured eating a pie from the sideline which was supposedly a bet. An unfortunate distraction for the non-league club on a memorable occasion. Previous winners: 2014 Steven Gerrard; 2015 Laura Bassett; 2016 Sam Allardyce. This award goes to the half dozen players from yesteryear we’ve come into contact at some stage and feel they should be recognised. It’s tipping our hat to some of the heroes from the past: Fred Else* (Preston, Blackburn and Barrow goalkeeper); Leighton James (Burnley and Derby winger, manager of Ilkeston in 1990s); Kim Vilfort (Danish international and Euro 1992 hero); Brian Marwood (Arsenal and Sheffield Weds midfielder); Keith Weller* (Millwall, Chelsea and Leicester); Martin Chivers (Tottenham).